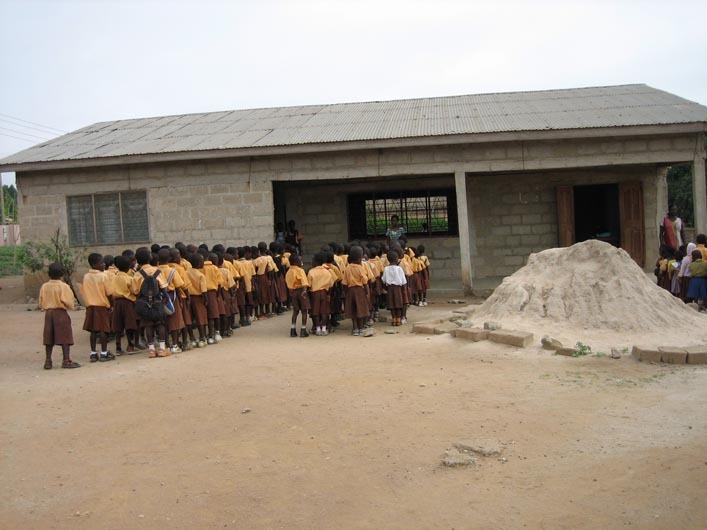 Village of Dompoase Education Project (VODEP) is a non-profit organization, dedicated to improve the education and human resources in Kumasi, Ghana, W. Africa. 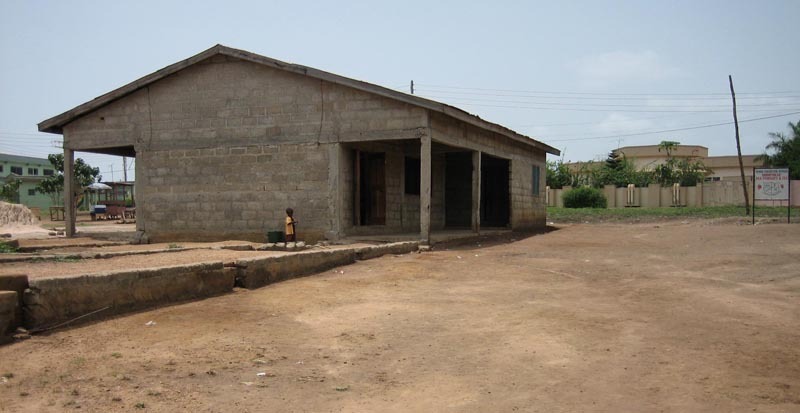 VODEP is working in partnership with this village in Kumasi, Ghana, to provide the children educational resources that will allow them to develop their potential and move on to a higher education to be productive for themselves and their community. There are currently 250 children attending kindergarten in the Village of Dompoase, ranging from age three to five. All 250 students were sharing one classroom, a storage room, and the remaining students sharing a classroom with the primary students. There were three to four students per desk. The condition of the original classroom was in disrepair. The floor was cracked and the ceiling was never completed. The iron rods in the classroom and pillars on the veranda were exposed, creating a safety hazard to the small children. The surrounding compound was full of weeds and trash. 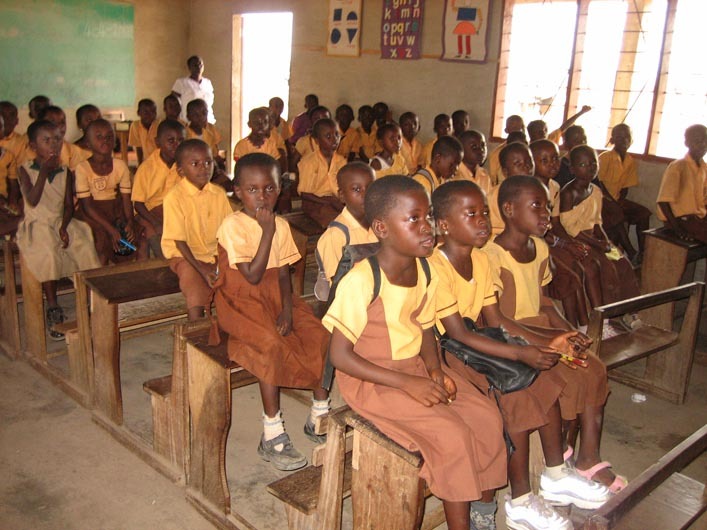 Kindergarten education in Ghana is desirable but not compulsory. 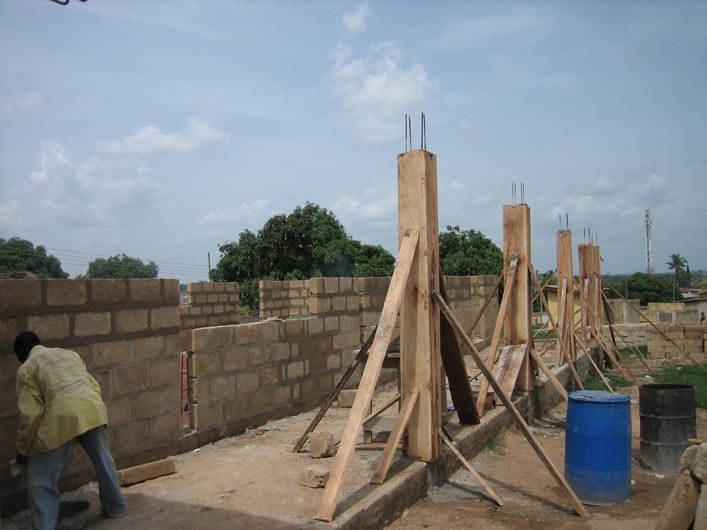 These schools are built by private individuals, communities, non-governmental organizations (NGOs), churches, etc. Since March, VODEP has been able to build an additional two classrooms and renovate the existing classroom. The compound has been cleared of weeds and trash, and an iron-mesh fence has been built to enclose the kindergarten building and play area. Grass has been planted in the play area, along with shade trees and shrubs. This month, VODEP will complete the walkways with pavement blocks. The three classrooms will be comprised of KG1, KG2, and KG3, depending on the age and academic level of the student. 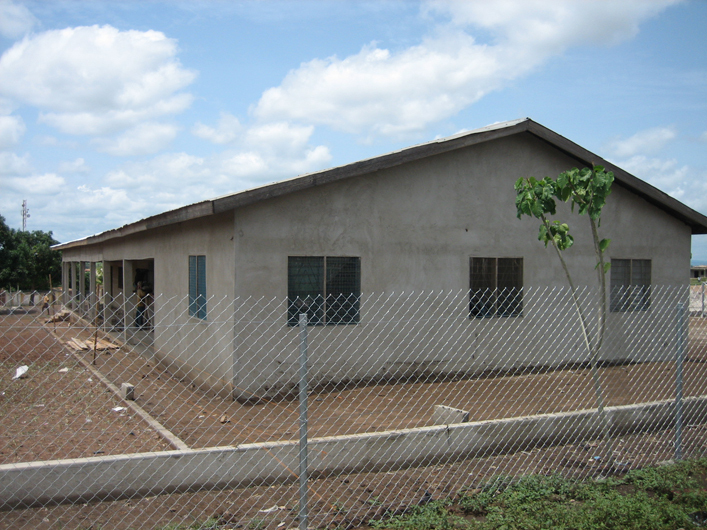 The Dompoase Primary School in Kumasi, Ghana, was built by the Ministry of Education. An average of 550-600 students attends this elementary school each year. Elementary school is split into Block A and Block B, which comprise of Classes 1 – 6 each. After completing Class 6 of primary school, students have to pass an entry exam to enter the Junior Secondary School.